Wine Dine & Travel Magazine is loaded with summer fun. 198 pages of travel stories with destinations around the world. 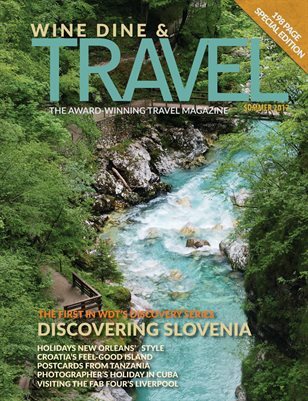 In this issue you'll find the first of our Discovery Series -- Discovering Slovenia explores the beautiful country from the Alps to the Adriatic Sea.